This is a holding area for (current year) past postings, temporary items removed from the front page, or items "under construction"
Earlier archives for morro-bay.com, for years 2003 and earlier, have been migrated to this section. Earlier archives for morro-bay.com, for year 2004, have been migrated to this section. tolosapress.com publishes three community newspapers in San Luis Obispo county: The SLO City News, The Coast News and The Bay News. Content is now (Jan. 2008) available online. San Luis Obispo Coast District State Park-related Activities and Events: How to Become a State Park Docent -- Museum of Natural History and the related CCNHA organization -- Docent-led walks Monday morning "Mindwalks slostateparks.com now contains Press Releases, and additional activity, event, trail/walk, and lecture (including Mindwalk) information -- similar to, and in addition to, what appears at ccnha.org and morrobaymuseum.org (these latter two web sites are actually the same - they just use different "branding"). The Morro Bay Chamber of Commercemaintains morrobay.org, a site with a lot of useful information including visitor information, lodging, dining, things-to-do, camping & RVing, real-estate, etc. For Morro Bay travel accommodations, motels, shopping, recreation and leisure activities, real estate, homes, vacation rentals, apartments.... see our commercial and related tabs. Sunday, May 23rd, 2010, 2-10, 1-4 PM. Garden Party BBQ, Estero Community Garden, North Morro Bay on Ironwood next to Del Mar Park. Dinner features Spencer's organic chicken, beans and bread, home grown salads , home made desserts and organic lemonade. Entertainment provided will be lively music for the adults and pinatas for the children. Monies will go to pay for a new tool shed and to cover recently added plot expenses. This is a great small community event where people don't eat and run, but sit, enjoy the beauty of the garden, their friends and the music. Tickets are $10 for Adults and $5 for vegetarians or children. Tickets may be purchased at Miners Harware (MB and Los Osos)-Garden Dept. and Coalesce Bookstore. For further information or tickets call Susan 772-7828. One of the most frequently asked questions is "How do I upload and share photos or other large files, for free...? There are now many free (or low-cost) sites that facilitate just this... 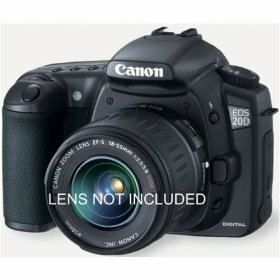 I review most of them here, and recommend that you try picasaweb.google.com/ and photo.epson.com - both are free and allow storage and retrieval of full-resolution images. NEW! Annual Photo Festival comes to Morro Bay, CA, Oct. 23-25, 2009. Visit morrophoto.com and join the related Yahoo! Group. Sunday, April 25th, 2010, 12-5PM (rain or shine). American University Garden Tour, "Gardens of the World". There are 8 lovely gardens this year, one with a refreshment stop featuring homemade cookies. Gardens featured are in Los Osos, Cayucos and Morro Bay. Tickets are $10 and may be purchased at all Miner Hardware Stores, Coalesce and Volumes of Pleasure Bookstores and Farm Supply in SLO. For further information or tickets call Susan 772-7828. Up Close in the Parks 2009 opens May 7, 2009 at the Morro Bay Museum of Natural History. State Parks and the Central Coast Natural History Association invite you to join the artists at the reception Thursday May 7, 2009 from 5:00 to 7:00 pm. View the exhibit and see our parks through the eyes of artists working in acrylic, oil, pastel, and watercolor. Artists include: Margaret Bertrand, David Chipping, Alice Cushing, Robert Dodge, Dotty Hawthorne, Janine Kirkpatrick, Ernest Lauser, Larry Le Brane, Mardi Niles, Barb Renshaw, Barbara Rosenthal, Robert (Rosey) Rosenthal, and Rachael Winn Yon. Up Close in the Parks continues through June 26, 2009. The exhibit features views of the “sisters,” especially Morro Rock and Hollister Peak. See also flowers, a blue heron, a butterfly, and views of Montaña de Oro. Join Central Coast Natural History Association on its inaugural 2009 8 day cruise "Cruisin' the Pacific Coast" Sept 19, 2009. This is a one of a kind natural history cruise that is perfect for birders, photographers and nature enthusiasts of all kinds. We will fly to Vancouver BC, then board The Norwegian Star and cruise through Victoria, Astoria, San Francisco and Los Angeles with special shore excursions at each port. We will have lectures abroad ship with Jim Covel, our keynote speaker who is the President of the National Association for Interpretation and is director of guest services at the Monterey Bay Aquarium. An e-brochure can be found at http://morro-bay.com/ccnha/2009-CCNHA-Cruise.pdf If you would like to go with us, we need your reservation and downpayment of $450 as soon as you can to guarantee your spot. For more information, please call or email Mary Golden, 805.528.1397, mgoldenccnha [at} gmail.com. This fundraising activity is sponsored by the Central Coast Natural History Association. 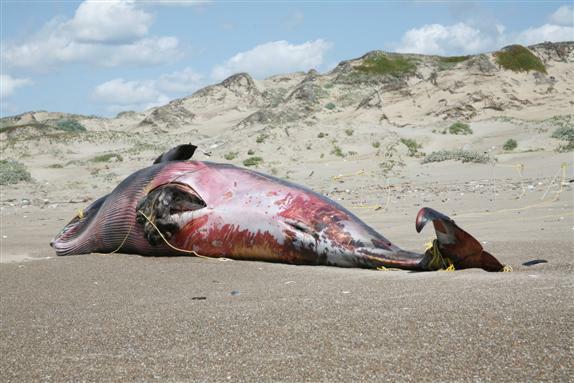 ccnha.org is a non-profit associated with State Parks and the Morro Bay Museum of Natural History. 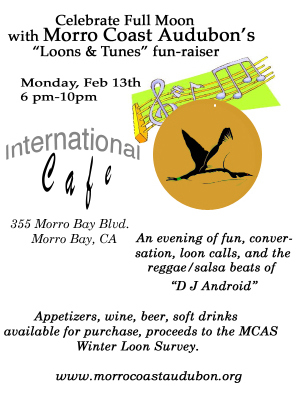 Don't miss this Morro Bay community event! Mayor Janice Peters announces the second annual Fundraiser Follies, with 2009’s theme, “Morro Rocks!” - February 27 and Saturday, February 28, 2009 at the Morro Bay Community Center. Showtime is 7 pm and tickets are $10 for adults and $5 for students... "Hello, Everyone, It’s time for the second annual Fundraiser Follies, with this year’s theme, “Morro Rocks!” Performances are Friday, February 27 and Saturday, February 28, at the Morro Bay Community Center. Showtime is 7 pm and tickets are $10 for adults and $5 for students with ID. Seating is cabaret style, first come, first seated. Doors open at 6:30 pm. Pizza, cookies, coffee, beer and wine will be available for purchase. The Fundraiser Follies proceeds are used to cover costs for all local events requiring city services. Last year, the fund covered permit fees for 12 events, from the Harbor Festival and Car Show to Art in the Park. We hope to raise enough this year to cover other costs as well. The Follies features all local talent, including businesspeople, city staff, elected officials and private citizens all strutting their stuff for your entertainment. Last year’s event was sold out and the attendees all had a great time. Performers this year include Rick Algert, Kathy Aulbach, Greg Blassingame, Susan Brown, Sharon Bufo, Peter Candella, Rick Carr, Nancy Castle, Phil Cisneros, Don Doubledee, Jill Garcia, Virginia Hiramatsu, Nancy Johnson, Gregg Kaufman, Andrea Klipfel, Rob Livick, Bill Luffee, Roscoe Mathieu, Steve Mazzetta, Stuart McElhinney, Mike Miller, Bill Peirce, Janice Peters. Mike Pond, Hank Roth, Rouvaishyana, Gary Ryan, Bonnie Tognazzini, Norma Vaughan, Marianna Frost, Nellie Mae Yeager, Camille Watkins, John Weiss, and Bill Woodson. Nancy Castle and Trina Dougherty of AGP video are co-directing the show. Janice Peters is producer and you can call her with any questions (772-4656; flamingos@charter.net) Technical support is from Syd Carr, Central Coast Music and AGP Video. Tickets are available at the Chamber, City Hall, and will be sold at the door. We look forward to entertaining you!" Opposing or alternative points-of-view are welcomed and will be posted here. Anyone can make a blog at http://www.blogger.com/ in minutes - send me the link and a short description and it will be given equal exposure. The editor of morro-bay.com does not make judgments on content submitted or linked to. e-mail mike [at} mikebaird d o t com. Sun, July 20, 2008, 1-4 PM , Estero Bay Community Garden BBQ, next to Del Mar Park on Ironwood in Morro Bay. Organic chicken barbecue with sides from the garden, choice of desert and lemonade. Piñata event for the children, learn about raising snails to eat (yes, we are talking escargot) and worms for the garden, $12 for Adults, $8 for Children under 8. Adj. to The United Methodist Church, next to Del Mar Park, tale San Jacinto of Hwy 1, go up hill to Ironwood Ave., turn left, garden on left. Tickets available at Coalesce Book Store, Estero United Methodist Church office on hemlock, or call Susan Heinemann (805) 772-7828 susielarry0 at yahoo.com. On Saturday, Feb. 23, 2008 at 1:00 PM, diver/photographers Ken Bondy and Gary Powell will give a presentation on their diving expeditions in Morro Bay and elsewhere, at the Morro Bay Museum of Natural History auditorium. They will present a Power Pt. program showing invertebrates and fishes that live under an ordinary-looking pier. They will also show the equipment used in their dives, including wet and dry suits, SCUBA gear, underwater camera housings, and more. The talk will last about one hour. Love Fine Art Studio LoveFineArt.com Morro Bay Wall Art Paintings by Paul & Susanne Leasure is worth checking out -- local artists featuring unique works of interest to to morro-bay.com readers - Wall art of hand painted oil art, seascapes and landscapes. Browse their gallery of unique handcrafted jewelry and colorful tropical art and ocean seascape paintings. Located in Los Osos on the central coast of California, Orchid Outriggers offers custom photography, birding, and estuary tours in hand-crafted 17' outrigger canoes with experienced guides... an opportunity to see and experience Morro Bay in a whole new way! 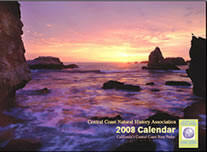 The 2008 CCNHA Calendar will be unveiled this Thursday, August 23, 2007 at 5:30 PM at the Morro Bay Museum of Natural History auditorium. The party, which is open to the public, will include wine and hors d’oeuvres. All the photographers will be in attendance to sign their work, making this a perfect holiday gift for family and friends... more info. Your Neighborhood Character (mansionization workshops) -- The City is gathering opinion on how to modify protection for neighborhood character. Landowner and renter alike: you live here. Now is the chance to speak for what you want Morro Bay to be. Second meeting: Sat. Aug 11, 2007, Morro Bay Vet's Hall, 10AM-Noon. Submitted by Councilperson Betty Winholtz. Your Neighborhood Character -- Whether you have been to a Morro Bay City meeting before or not, your views are now needed. Each neighborhood is different; who will speak for your neighborhood? The City is gathering opinion on how to modify protection for neighborhood character. Landowner and renter alike: you live here. Now is the chance to speak for what you want Morro Bay to be. Sat. July 14, 2007, Morro Bay Library, 10AM-Noon. Submitted by Councilperson Betty Winholtz. See a video of Rouvaishyana, our State Park Interpreter and Manager of the Morro Bay, CA Museum of Natural History, giving a presentation Dec. 27, 2006, on Whale Sounds and Songs. Surfing at Morro Rock in Morro Bay, CA at this time of the year (Dec.) is great! See some recent still surf photos and a surf video. MORRO COAST AUDUBON SOCIETY CHAPTER ADMINISTRATOR -- Morro Coast Audubon Society is looking for a Chapter Administrator. If you are interested and qualified, send your resume and cover letter to the address below. Job Description: Work with the MCAS volunteer board to develop fundraising strategies and implement development plans including membership appeals and membership drives; provide assistance with report writing; understand and use chapter by-laws; maintain a chapter calendar and ensure that chapter obligations are met; attend evening board meetings on the first Monday of each month and other community meetings as assigned; complete other duties as assigned. Job Skills: Excellent writing skills; ability to work with a variety of people including a volunteer board; must be proficient in Microsoft Office applications; experience with fundraising/development, grant writing and strategic planning a plus. Past experience working for a non-profit and/or a conservation organization preferred, but not required. One-year independent contractor position that may be renewed annually. Rate of pay: $16/hour, no benefits. A minimum of 20 hours a month up to 32 hours a month. To apply: Send a resume and cover letter to MCAS at P O Box 1507, Morro Bay, CA 93443. All resumes must by received by November 15, 2006. The 38 page 9"x7" color book "San Luis Obispo County California Nature Photographers -- Their Works and Techniques: Interviews with local nature photographers about how they take such great photos" Edited by Michael L. Baird with contributing photographers Joyce Cory, Joe Dickerson, Carol DiNolfo, Rich Hansen, Marlin Harms, Garry Johnson, Teddy Llovet, Cleve Nash, Gary Robertshaw, Dennis Sheridan, and Greg Smith, is now available at lulu.com/mikebaird. You can download a free PDF version (17 MB) or order a printed copy at the production and shipping cost of $10.23 + $1.91 = $12.14. As a community service by the books' contributors there is no royalty or profit being made on the sales of this book from lulu.com. Be sure to select "US Postal Regular Media Mail" to get the lowest $1.91 shipping cost. This is a Flickr badge showing public photos from mikebaird. Make your own badge here. Order new history book "Morro Bay (Images of America)" by The Historical Society of Morro Bay. (Buy locally, or Amazon.com has this book for $13.59). Alternate, order from publisher for $19.99 here . 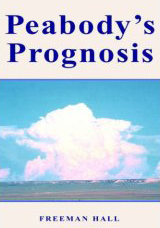 Peabody's Prognosis by Freeman Hall - Morro Bay's Freeman Hall, a State Park docent, is the author of this 2006 108 page novel about a meteorologist who makes a prediction about weather patterns that affect whether a county should build a public works project. See freeman.morro-bay.com 5-star Amazon rating. 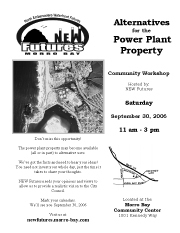 The EPA has posted a Project Information Sheet summarizing the Morro Bay Power Plant Modernization Project and will accept comments at a Public Hearing for the proposed PSD (Prevention of Significant Deterioration) permit for the Morro Bay Power Plant Modernization Project, scheduled for Tuesday Oct. 24, 2006 at the City of Morro Bay Veterans Memorial Hall, 209 Surf Street, 6:00 PM - 9:00 PM. Election 2006, Morro Bay Candidates Forum, Sun. Oct. 15, 2006 -- 1:00 to 4:00 PM -- Morro Bay Vets Hall, 209 Surf St. Nows your chance to ask all Candidates for Mayor and City Council your questions on current city issues. Brought to you Live on Cable Channel 20 by AGP Video. Sponsored by Advocates for a Better community and the candidates for Mayor and City Council. Moderated by Roger Ewing. State of the Bay Community Event, Fri. - Sat. Oct. 13-14, 2006 -- The State of the Bay Conference is a free Morro Bay National Estuary Program mbnep.org event that provides partnering agencies, local organizations and our general community with the latest news about the health of the estuary and whats being done to protect and restore this national treasure. The conference will feature presentations on both Friday and Saturday, and field trips into the estuary and watershed Saturday afternoon. Topics will include: Evaluating Sedimentation Rates in Morro Bay; Closing the Door on Invasive Species; San Luis Obispo Science and Ecosystem Alliance (SLOSEA); Health of the Estuary Updates; Rare and Endangered: Special Status Species; It All Flows Downhill: Storm water and the Bay; Saving the Land to Save the Bay: Watershed Restoration Read the Media Release. memritv.org The Middle East Media Research Institute (MEMRI) explores the Middle East through the region's media. Translated videos you will not see on Western TV. HopeDance hopedance.org reports on the outrageous, pioneering and inspiring activities of outstanding individuals and organizations who are creating a new world -- regardless of their spiritual tradition or political agenda -- "Radical Solutions inspiring Hope"
worth1000.com -- the top creative competition and Photoshop contest site on the web - contains some astounding Photoshop art! http://www.gigapxl.org/ Ultra high resolution photographic documentation of the USA (gallery) -- Defining the upper limits of large-format photography, digital scanning and image processing, custom-built Gigapxl cameras capture images with unprecedented resolution. The Project's near-term goal is to compile a coast-to-coast Portrait of America; photographing her cities, parks and monuments in exquisite detail. 8-17-06 Here is the basic information on the impact of the recent MLPA decisions on our part of the Central Coast. Lets Talk About the Bay - a free public conference on our watershed and what goes into it. Morro Bay Veterans Hall - Sat. Sept. 2, 2006, 12 Noon to 5PM. More info. Peabody's Prognosis by Freeman Hall - Morro Bay's Freeman Hall, a State Park docent, is the author of this 2006 108 page novel about a meteorologist who makes a prediction about weather patterns that affect whether a county should build a public works project. 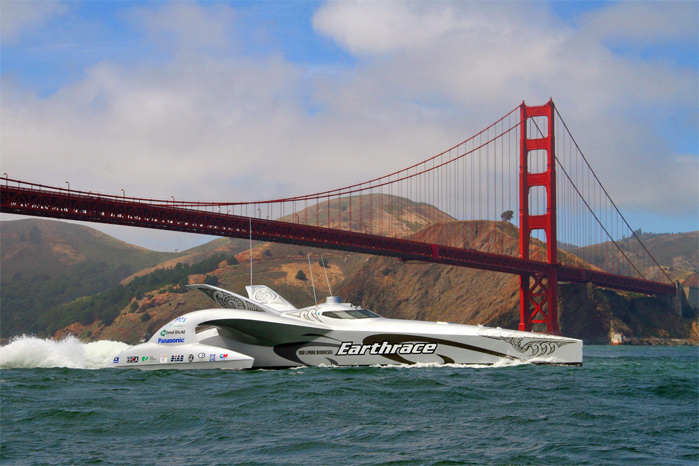 There will be a book signing for his book at Coalesce Bookstore in Morro Bay this Sat., Sept. 2, 2006 from 1-3 PM. http://www.thinkfree.com/ Create Microsoft Office compatible files and more, all online, for free (Beta). 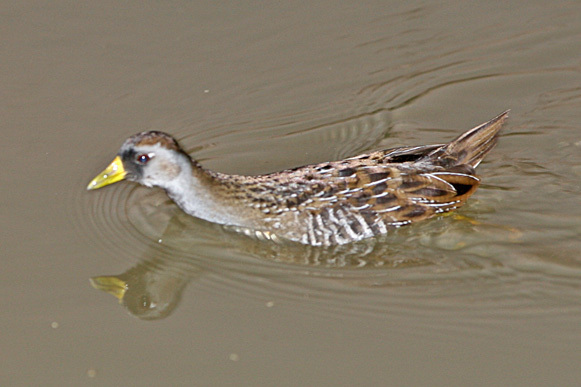 eBird.org is a citizen science tool that allows anyone to report any bird species anywhere anytime. This joint venture of Audubon and the Cornell Lab of Ornithology opens a new era of citizen science, which will help our birds in a time of increasing threats from habitat loss to West Nile virus. slosimple.com "No Fuss Web Design" by Los Osos local talent Judy Sullivan - highly recommended for creating a small simple low-cost high-quality web presence. Slosimple says "Our specialty is creating a web presence for small, local (San Luis Obispo county, CA) businesses and organizations." Order new history book "Morro Bay (Images of America)" The Historical Society of Morro Bay has cast its net wide to gather all of the best images from both their own and other public and private photographic collections. They showcase those treasures here, illuminating the people, places, and events that have made Morro Bay. (Amazon.com has this book for $13.59). Alternate, order from publisher for $19.99 here . A benefit signing party will be held at Coalesce Bookstore in Morro Bay, 845 Main St (805) 772-2880, on Sunday, July 2 , 2006 from 1 - 4 PM. Buy "Morro Bay (Images of America)" locally and support the Historical Society of Morro Bay. Nancy Castle, Historical Society of Morro Bay Board Member, (805) 441-5770 (you can email Nancy at Agpvideo@[remove]charter.net <= remove the "[remove]" before sending) says "... The book was developed by the Historical Society of Morro Bay as a fund raiser for this this local organization. Members of the Society have copies to sell at the full price of $20, including myself (Nancy Castle). A second presentation by the new theater group in Morro Bay will be "Art" at the Morro Bay Allied Arts Center next to Coalese Bookstore on July 6 and 7, 2006 at 7:30 PM. The first presentation in June at Coalese was to sell out crowds. "Art" is a double-entendre about painting and the art of friendship among men. The show is directed by Bea Morrow and stars Michael Siebrass, John Geever and Joe Eister. Instant Media http://instantmedia.com/ offers High-Definition TV on your PC, for free (with ads). Check out PowerToys for Microsoft Windows XP including the SyncToy which can help you copy, move, and synchronize different directories -- great for managing informal backups between hard drives and PCs. The ClearType Tuner PowerToy will make your display much easier to read. The Image Resizer PowerToy will allow you to make smaller versions of your photos in an instant. Many more useful PowerToys are offered. A great new local essential resource book "Butterflies of Estero Bay," co-authored by our Associate State Park Resource Ecologist Michael Walgren, and his associates Rose Graef, Lisa Andreano, and Jeremy Beaulieu, is now available through http://lulu.com as a free download at http://www.lulu.com/content/273492 . A printed version can also be purchased there at the production cost of just $7.53 + shipping (as a public service, there is no royalty paid to the authors, or profit taken by LuLu). This brief 20 page guide identifies the 34 species of butterflies likely to be encountered along the coast of Estero Bay. Each species is presented with color photographs of the upper body and under body and includes text covering where the species will be found, host plants, and interesting notes. This guide was published as a joint effort of California State Parks and the Morro Bay National Estuary Program. pcstats.com PCSTATS provides guides that detail many facets of modern computer use. Their "Beginners Guides" are especially recommended. Check out yadio.com -- an Entertainment and Online Community for TV, Radio, Music, Podcasts, etc. Google recommends "If you're interested in learning more about computer applications that embed themselves into your computer without your knowledge (often called "adware" or "spyware"), ... [read] ... http://www.doxdesk.com/parasite/"
Who needs Microsoft Office to create or share the occasional letter or spreadsheet? Use http://writely.com/ and http://numsum.com/ for free. This is a glimpse of the future -- there is not much reason to have expensive applications running on many PCs when these things can now be done online for free. Here is my sample publicly viewable numsum.com "social" spreadsheet that you can view online. Here is my sample publicly viewable writely.com document that you can view online. Writely.com documents that you create online can also be saved as Word ".doc" files on your hard drive. These utilities allow you to easily share and collaborate with others in the creation of such documents. ajaxWrite.com is the newest player in this space... "the look, feel, and functionality of Microsoft Word, in a completely web-based... platform"
Rainy day viewing - LiveScience.com's "amazing images" and "image gallery"
of San Luis Obispo serves as the commercial, governmental and cultural hub of San Luis Obispo County. To celebrate the 150-year anniversary, or Sesquicentennial, a group of local leaders is joining with City staff to plan a 10-month celebration in 2006, culminating in a grand event planned for October. For more information on the Sesquicentennial or to participate in the celebration, contact Betsy Kiser at (805) 781-7123. 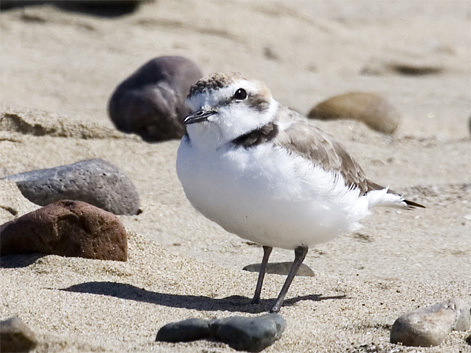 Regena Orr's Plover Research - Environmental Scientist, California State Parks <<== a NEW major "Morro-Bay.com Morsels" contribution - New brochure added 3-28-06. Monday morning "Mindwalks" will continue through April 2006. April 10, 2006 10:15AM - Noon "The Role of Raptors in the Morro Bay Estuary and Watershed" -- Join Kara Hagedorn and a Red-tailed Hawk named Sunshine for an interactive review of the numerous birds of prey of this area... (more info). This event is held at the Morro Bay Museum of Natural History Auditorium - across from the Morro Bay Golf Course on the Park rd. in Morro Bay State Park - 772-2694 ext .105 with questions. Kara will give a related presentation on April 17, 2006 at 7:00 pm - for the Morro Coast Audubon Society -- Laguna Middle School  multi-purpose room - 11050 Los Osos Valley Rd, San Luis Obispo CA 93405. You can download a PDF flyer for this talk and "The Role of Raptors in the Morro Bay Estuary and Watershed " story as told by Kara. San Luis Obispo County Supervisor Seat (2nd Coast District, CA (map)) is on the ballot in June, 2006. A Candidates' Forum will be held Friday, February 24th 2006 from 6:30PM to 9:00PM at the Trinity United Methodist Church at 490 Los Osos Valley Road (Resources -- candidates are listed alphabetically: Roger Anderson, Bruce Gibson, Judy Vick). All three candidates will be present. This is your chance to see and question them all together. (See recorded sessions online). Candidates are invited to submit better links to morro-bay.com. SLO Clerk Recorder June 6, 2006 Primary Election Candidate List (as of 2-17-06). The Moro Bay Chamber of Commerce now has the coolest Webcam in town! http://24.180.1.178/ This Sony SNC-RZ30N Pan/tilt/zoom Network Color Camera can be controlled by the viewer. Who needs Microsoft Office to create or share the occasional letter or spreadsheet? Use http://writely.com/ and http://numsum.com/ for free. This is a glimpse of the future -- there is not much reason to have expensive applications running on many PCs when these things can now be done online for free. Here is my sample publicly viewable numsum.com "social" spreadsheet that you can view online. Here is my sample publicly viewable writely.com document that you can view online. Writely.com documents that you create online can also be saved as Word ".doc" files on your hard drive. These utilities allow you to easily share and collaborate with others in the creation of such documents. Windows Live live.com -- With a new Web site called "Windows Live," Microsoft hopes to create a new platform that will unfasten some of its applications from a computer hard drive. Microsoft Office Live is also coming soon in 2006. Thurs. Jan. 5, 2006 --Microsoft Security Response Center Bulletin Notification - - Microsoft's "Emergency" security update should be downloaded by all Windows users immediately. Go to http://windowsupdate.microsoft.com/ using Internet Explorer. Book signing by local author Jack Morrow -- a powerful new novel The Consortium -- Sat. Jan. 21, 2006, 1 - 3PM at Coalesce Bookstore, 845 Main Street in Morro Bay. This book exposes the explosive potential of corporate-controlled free trade in a fictional story of suspense, bribery, deception and murder. A book of the month selection by Wizard of Words Book Club.